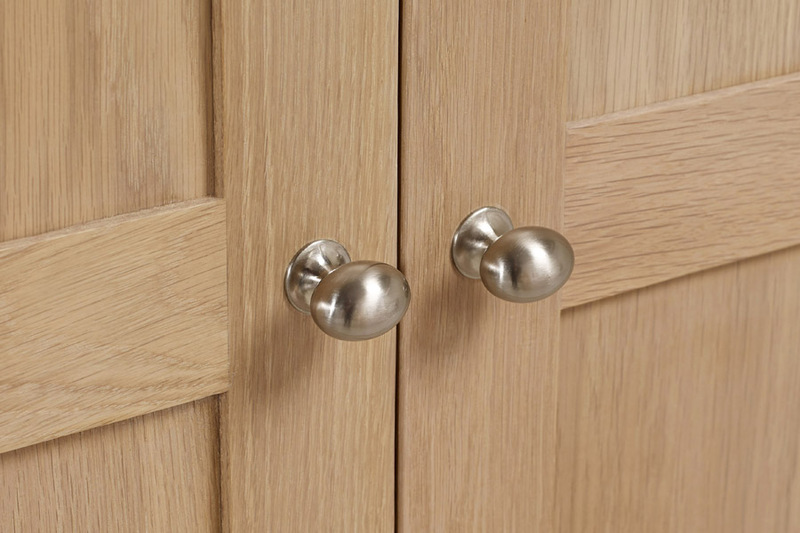 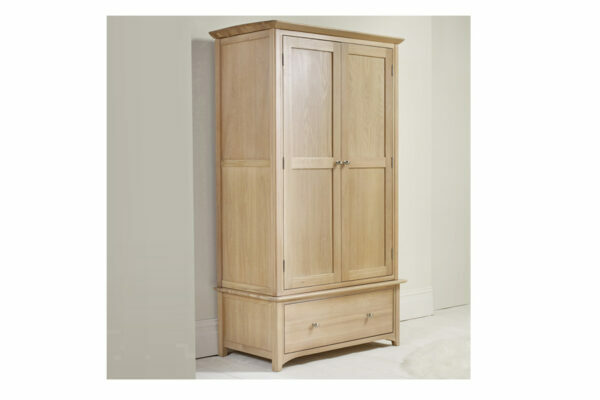 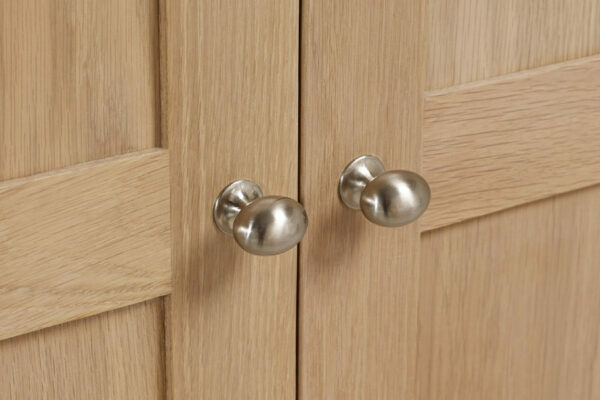 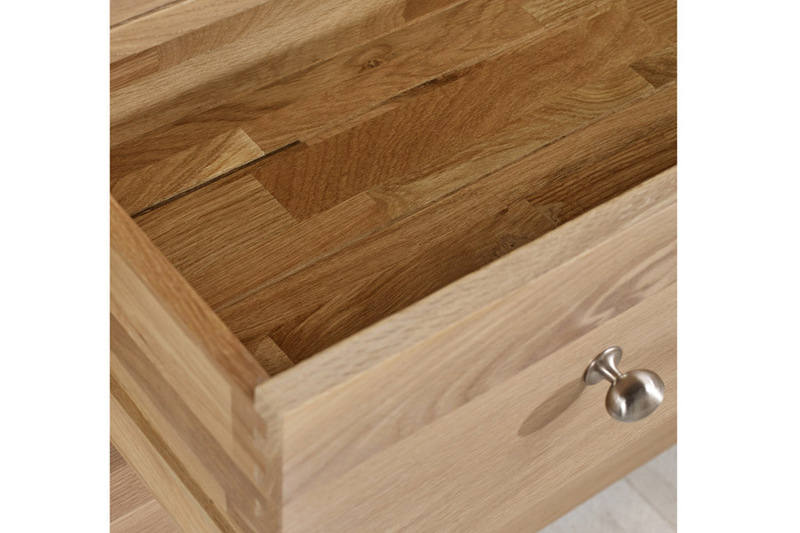 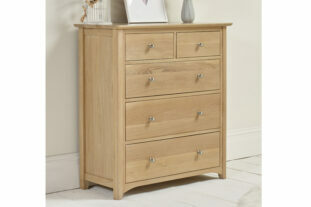 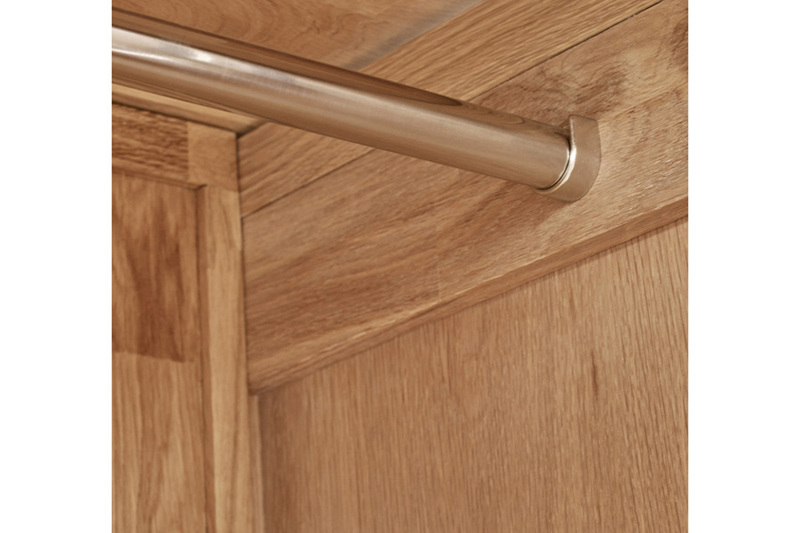 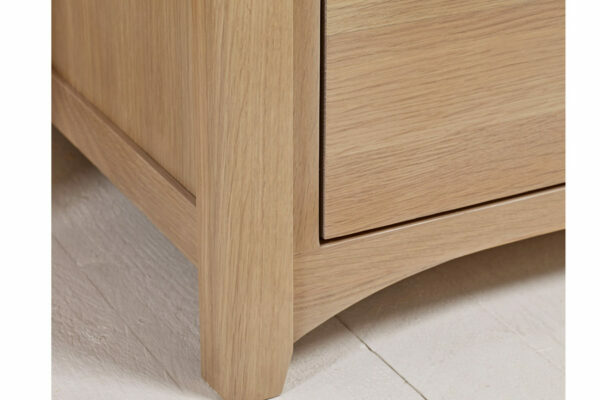 The elegant Woody Double Wardrobe is made from a strong blonde oak featuring wonderful curved detailing, sleek lines and smooth, brushed metal handles. 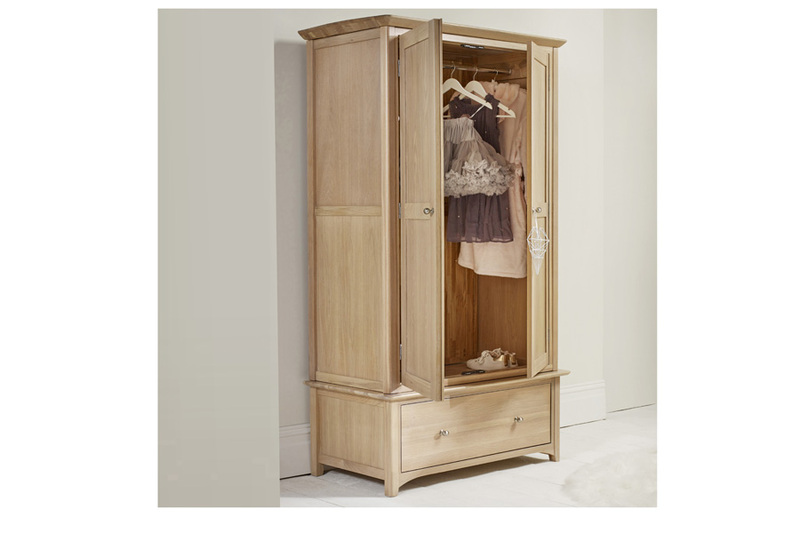 The wardrobe is part of the Woody Collection and can be styled with any of the matching furniture to make the perfect room set. 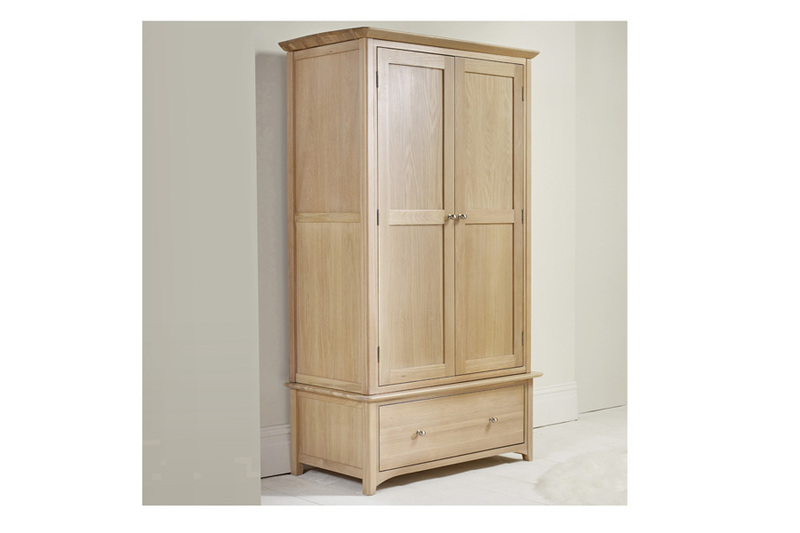 Part assembly required – base and hat come fully assembled.